WordPress has become the #1 open-source software to create and manage websites and blogs. The benefits of WordPress are simple - The free platform offers catchy themes, problem-solving widgets, and easy-to-use tools, but in the end, easily making a website doesn't necessarily mean you're making a good website. The WordPress Certificate will teach you how to build a website based on user experience research data and not simply based on "look and feel." It's time to step away from pre-made templates and learn how to create your own website design in WordPress. In this multi-day workshop you'll start at the beginning by working with basic WordPress templates, but by the end of the certificate you will be designing a customized website with a visual builder. Come with the goal of improving your company or personal website or simply to learn WordPress in and out within a real-life application. Students need to bring a laptop, PC or Mac, with them to class. How to install WordPress and what happens behind the scenes when going through an install. A deep dive into all functionalities of what WordPress has to offer "out of the box." 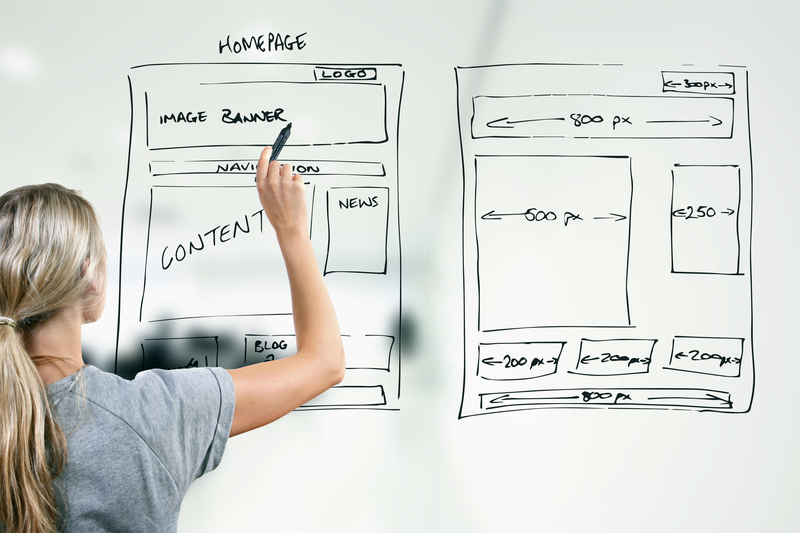 An introduced to user experience (UX) tools to uncover how visitors are using your website. A close examination of existing WordPress templates. A discussion on the pros and cons of using existing themes. How to setup themes properly. How to build a custom website that is easy to update and manage. Start to create a custom WordPress template using an existing framework (Foundation 6) and custom fields. An introduction to visual builders. A discussion on the pros and cons of using a visual builder. Start to create a custom WordPress template in a drag and drop environment using a visual builder. All WordPress Certificate workshops will be held at University of New Hampshire-Manchester, 88 Commercial Street, Manchester, NH. Directions and parking information will be sent to enrolled students via email prior to the first day of the program. A light breakfast and lunch are available daily and are included in the cost of enrollment. Students need to bring a laptop, PC or Mac, with them to class. If you do not have a laptop, contact Michael Mengers (michael.mengers@unh.edu) to reserve a loaner for use during the workshop. All additional course resources and materials will be provided. If you intend to work on an existing website during the certificate program, make sure to know your site domain and login/password prior to the start of Day 1. Fred Schall started his love affair with web design and development in the late 90's. He has dual degrees in Computer Science and Web Development. He currently teaches Advanced Web Design and User Experience at Southern New Hampshire University. Fred worked for a few large agencies in Southern California, developing campaigns for large brands such as DirecTV, Petco, and Powerade. In 2009 he became the Co-Owner of Schall Creative, moved the company to Manchester in 2010 and continues to thrive for his work every day.